Jungels Shorthorn Farm maintains a spring calving herd of 325 head. 200 of which are registered Shorthorn and ShorthornPlus females. 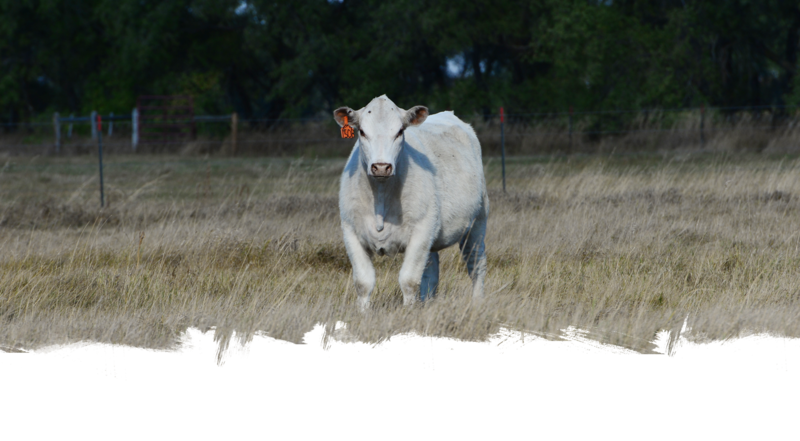 100 Purebred Angus cows are bred to white Shorthorn bulls and utilized for our Blue Roan program. The balance of the cows are commercial cows and serve as recipients for a growing ET program. The cattle at JSF are raised in a ranch setting, are expected to calve on their own, flesh easy, and breed back. 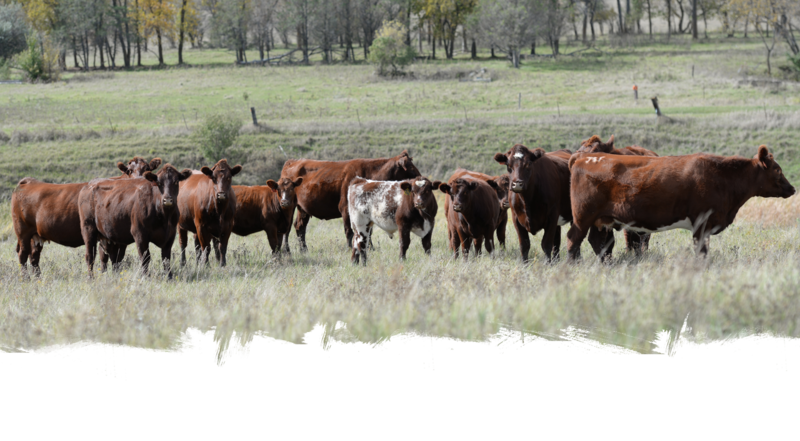 Each year we hold 2 sales, our annual Female sale at the Ranch, Durham Nation, selling 100 head of Shorthorn and ShorthornPlus bred and open heifers. 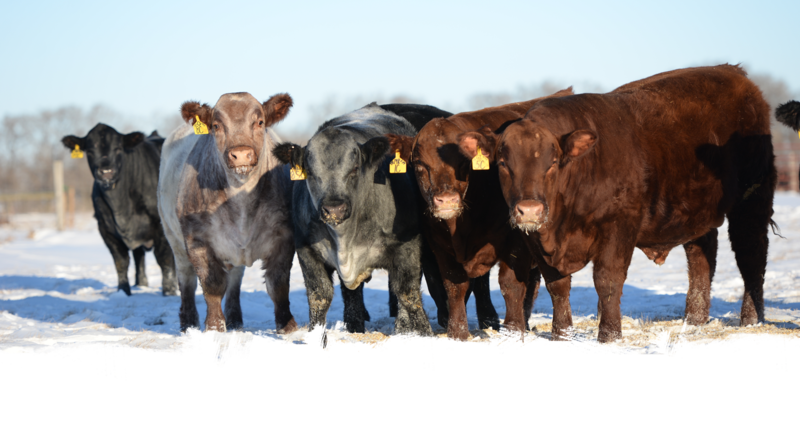 In February we hold our annual bull sale, selling 60 bulls and 50 commercial bred females. 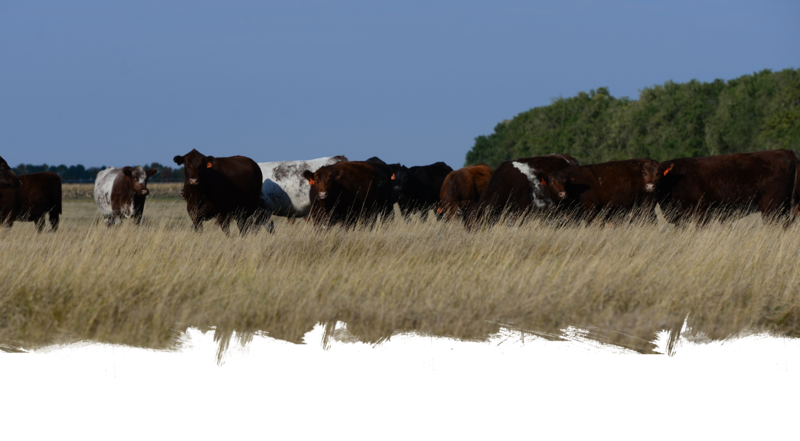 In the spring of each year we source and develop approximately 250 commercial and purebred heifers from our bull customers, later marketing as bred heifers. In addition to our purebred operation, we feed cattle in our 999 head feedlot, again, sourcing steer calves from our customers and backgrounding to around 900 lbs. 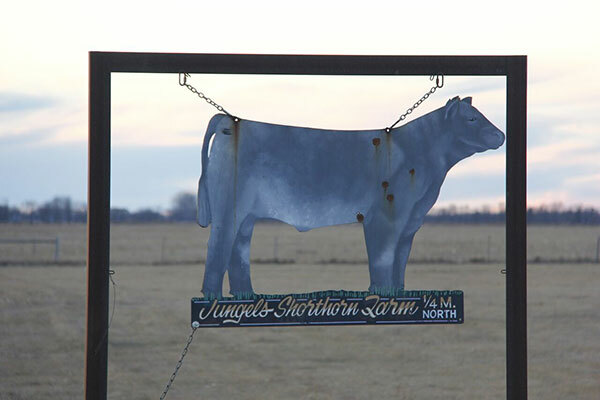 JUNGELS SHORTHORN FARM started in 1953 with the purchase of a registered Shorthorn heifer, from the famous Hammer Shorthorn Herd of Hannaford, ND. By 1970, the herd grew to an exceptional base of 50 purebred females. 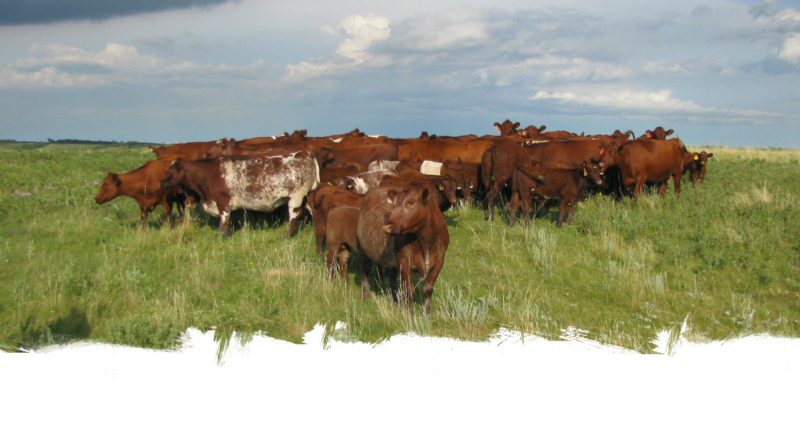 In 1974, the EM DEE herd, including the farmstead and pasture land, was purchased from Melvin Dronen of Finley, ND. The DEE prefixed cattle all carry some influence back to the original EM DEE cows. Some of these females origins date back to 1929. In 1999, Jungels decided to register all future cattle with the JSF (Jungels Shorthorn Farm), since it was at this time that Derek returned to the family operation and also in an effort to help expand our purebred cattle marketing efforts. At that time, the herd aggressively expanded and began marketing Shorthorn cattle to a more diverse customer base. Intense emphasis was placed on cow fertility. In 2007, Jungels decided to hold their first “Durham’s for Denver” bull sale. This private treaty bid-off is held annually “In the Yards” and has grown to become a fixture of the National Western for Shorthorn enthusiasts. 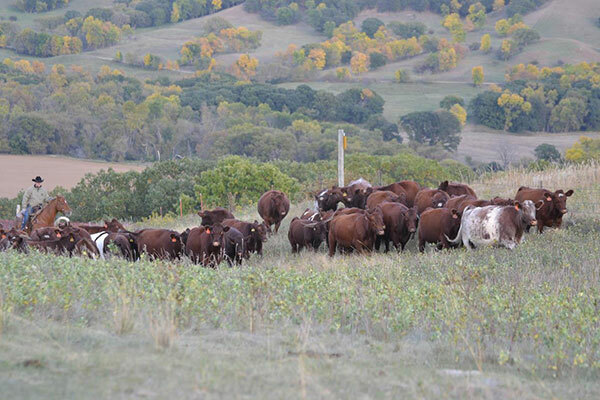 In 2014, the sale was moved to the ranch, where 50 Shorthorn and ShorthornPlus bulls averaged in excess of $6000. We have been fortunate to maintain this momentum selling now 60 bulls on auction as well as private treaty bulls throughout the year. Currently, JSF bulls are breeding cows in 38 states, 4 Canadian Provinces, and worldwide via AI. 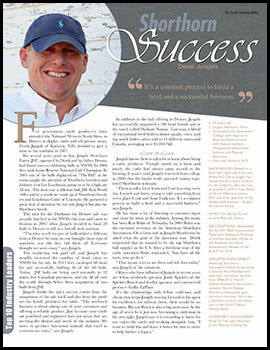 We were fortunate enough to be featured this fall on American Rancher. Check out this great piece about our program starting at 11:10 in the video.